Wake, the minimal iPhone alarm clock app definitely made me look. Placing your hand over your phone will trigger the snooze and flipping over your phone will turn off your alarm. And for heavy sleepers there’s shake mode which forces you to shake your iPhone until you get up. Impressive. Congrats to the Tiny Hearts team. My studiomates of Oak just launched the most beautiful weather app I have seen to date. 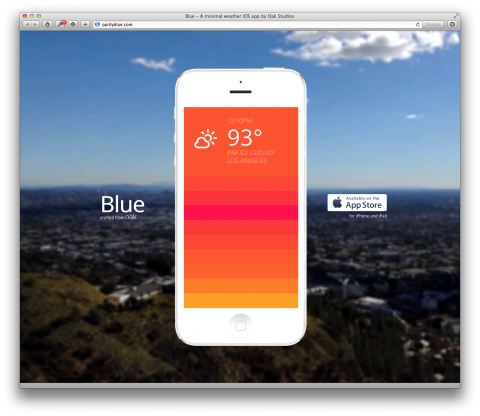 It is called Blue and beautifully translates weather forecasts into a language of colors. The minimal interface provides a 36-hour weather forecasts relevant to your location. The hourly colors are generated based on three variables: temperature, humidity, and sunrise/sunset times for your current location. I was blown away when I saw the app for the first time. This is a weather app I will actually enjoy using. And get this, not only is this Oak’s first venture into the land of iOS apps, they also built it in one week, during their stylish retreat in Los Angeles. If you have iOS 6 on your phone, point your Safari browser to maps.google.com and click the export button in the middle of the menu bar to save the app to your homescreen. 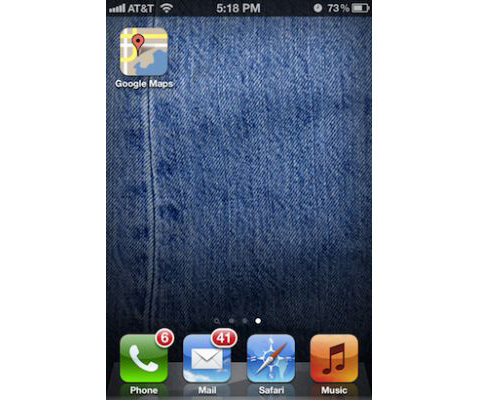 Once installed, you’ll now see “Google Maps” on your homescreen complete with its own appropriately designed app icon. Thanks to ComplexTech for the tip! What a beauty! 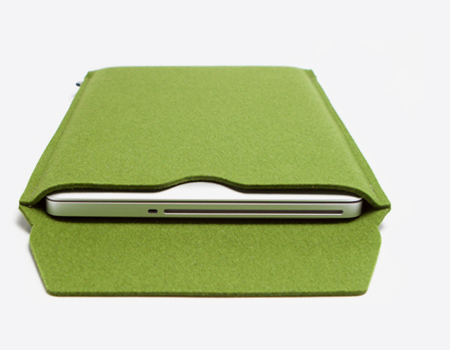 This 100% wool felt Macbook sleeve by B&M, was designed to fit the Apple range of MacBooks, Macbook Pros and *NEW* Macbook Airs perfectly. Snug as a bug in fact. It sums up the B&M design philosophy perfectly; there are no frills, no noisy velcro, no exotic superfluous add-ons and no cumbersome zips or fasteners. 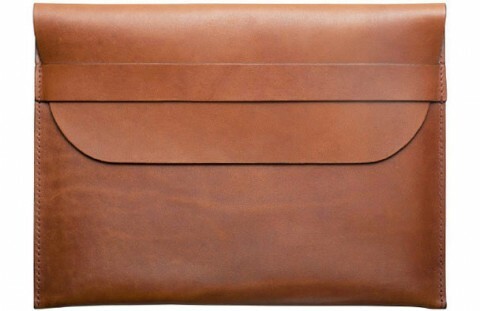 If my iPad wasn’t wrapped in the iGuy to protect it from my rambunctious two year old son, I would probably opt for a stylish leather sleeve like this one. Planning a beach or pool vacation? Then I’d consider investing in one of these iPhone Scuba Suits. 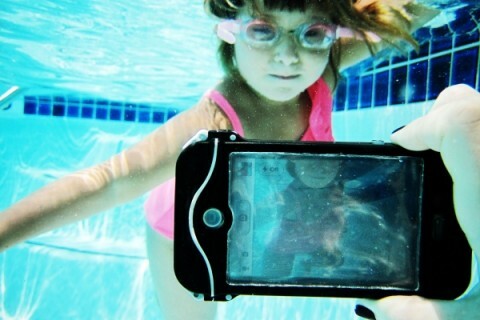 It’s a 100% water-proof case that’ll allows you to take cool underwater photos. I played around with MoMA’s brand new Art Lab iPad App. 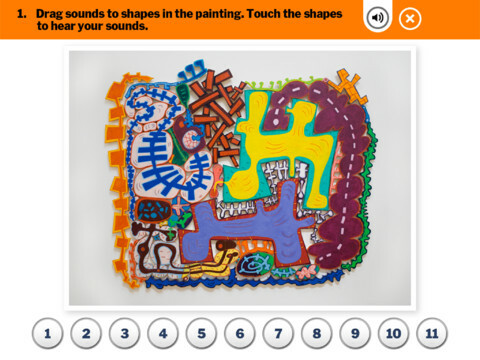 The fun app features art by Henri Matisse, Elizabeth Murray, Jean (Hans) Arp, and others. It lets you create sound compositions, shape poems, group drawings and shape collages. It’s quite impressive to see what the digital in-house team at the MoMA is able to release. They are quite a digital powerhouse. 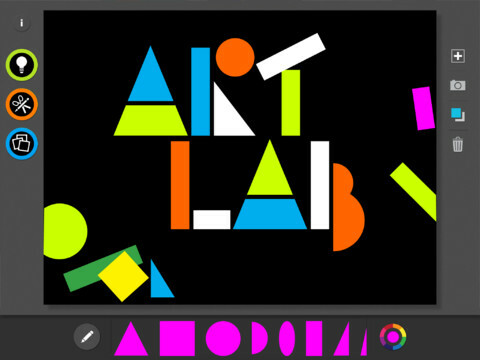 The MoMA Art Lab app is intended for ages seven and up. Can’t wait to show it to my daughter tonight! 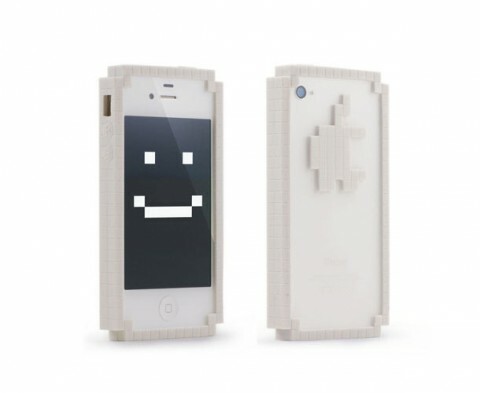 Big Big Pixel makes 8-bit Pixel iphone bumpers and ipad cases. Made me smile. 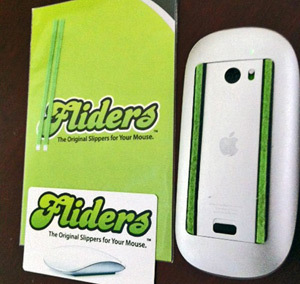 Fliders are like slippers for your mouse. They are supposed to make gliding across surfaces smoother, sans mouse pad. Totally going to give these a try. 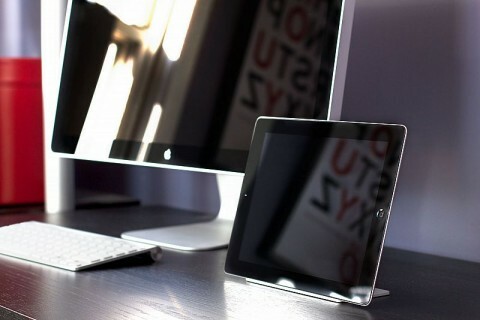 This Magnetic iPad Stand, called Magnus, is as sleek as it can get. Really pretty. Are you a lover of letterpress? Or do you simply want to teach your children the concept of it? 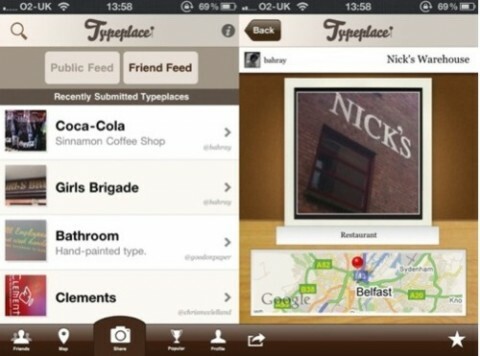 Then you should check out LetterMpress, an app that lets you experience the art and craft of letterpress. Check out the tour or the video above and you’ll get the idea. LetterMpress is available on the Mac Store and as an iPad App. 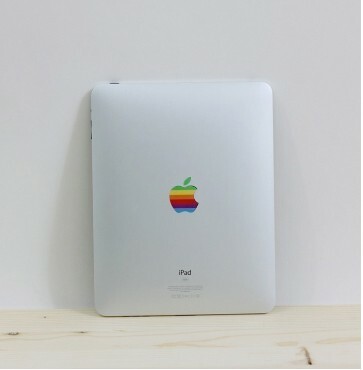 (The iPad is 50% off for the month of december) Besides the use of a mouse and keyboard, the most significant feature of the Mac version is the high resolution that can be output, depending on your graphics card. Prints can be created as high as 8192 pixels in the longest dimension—that’s over 26” at 300 DPI. 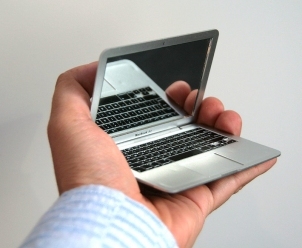 Check out some of the designs users have shared on Flickr. 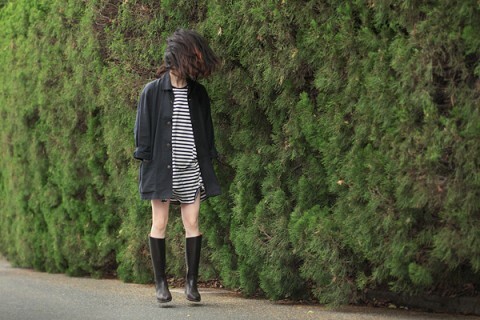 Natsumi Hayashi is a Tokyo based photographer that makes flying look easy. 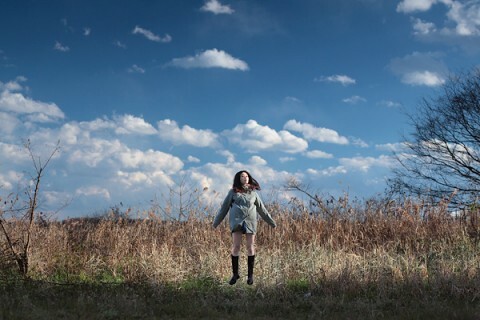 She takes daily levitating self-portraits. Fascinating. “Sometimes I need to jump more than 300 times to get the perfect shot,” Hayashi told MSNBC.com on June 8. 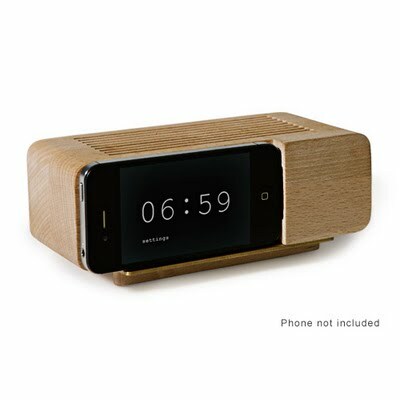 Jonas Damon’s Alarm Dock turns your iPhone into an old-school looking alarm clock. All you need is a flip clock app and you’re set. Made me smile. Seeing the old treatment of the Apple Logo (on a new MacBook Pro) just now gave me an instant sense of nostalgia. 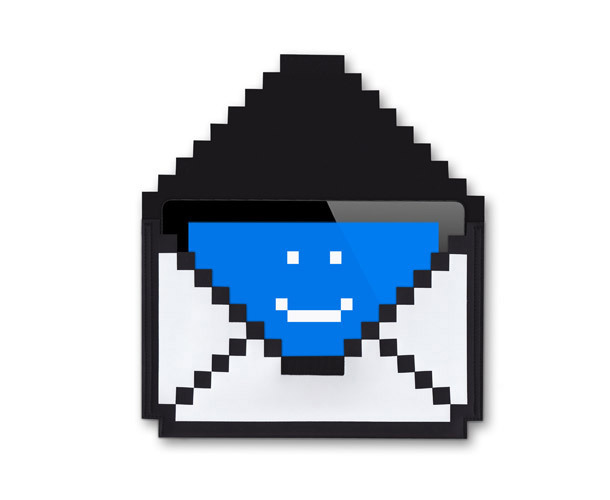 I will most definitely order one of these raised, awesome, stickers to put on my iPad or Laptop. 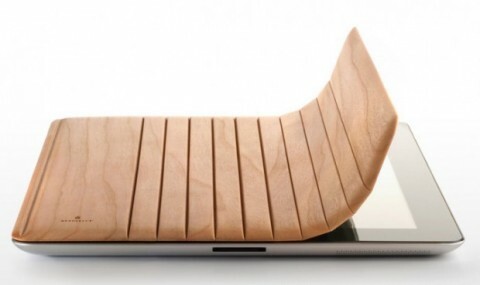 Every now and then I come across gadget accessories that takes my breath away. 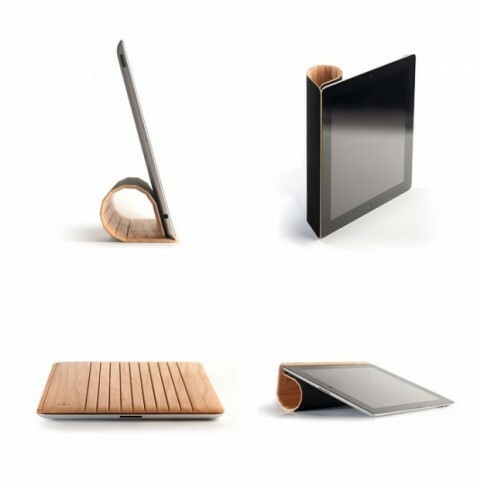 It just happened now when I discovered the Miniot Wooden iPad2 Cover. The companies about page put a huge smile on my face. All it shows is a “Team Photo” (below). 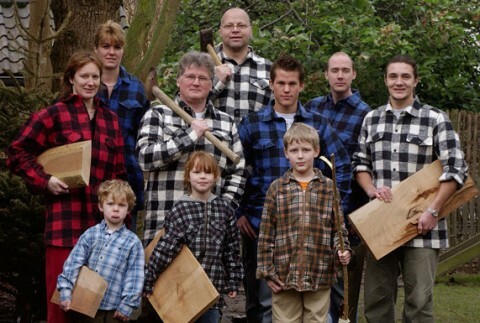 How can you not buy a product from what looks to be a Dutch family enterprise? 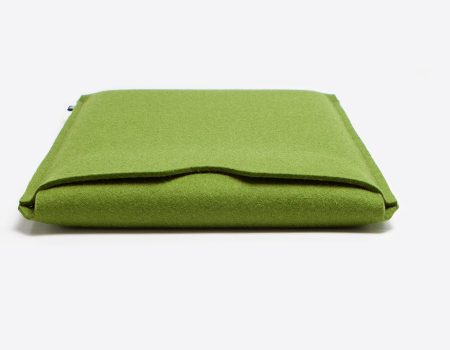 Hat tip Miniot, your iPad2 cover is a beauty. 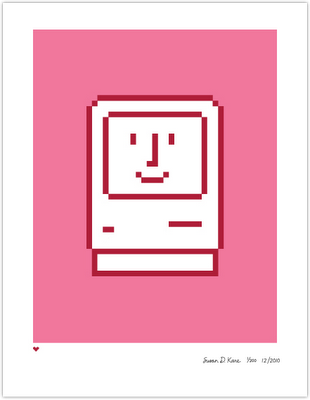 Susan Kare, the woman behind the classic Mac icons has a special Valentine print out. Total winner! 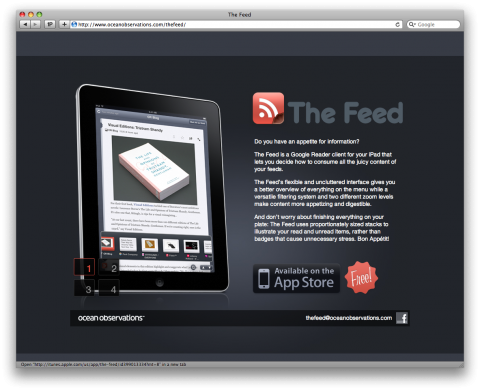 The Feed is a free Google Reader client for your iPad. It uses proportionately sized stacks to illustrate your read and unread items, rather than badges that cause unnecessary stress. The Feed over on iTunes. 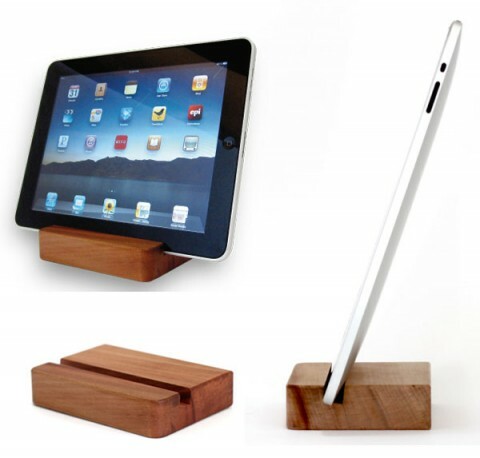 The BlockDock for iPad is an elegant, solid wood stand for vertical and horizontal viewing. 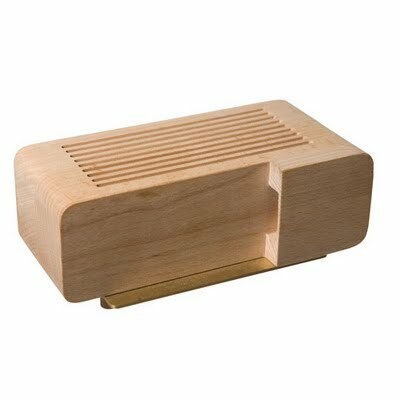 Every BlockDock is hand crafted from wood locally harvested in the Pacific Northwest. Pretty, no? 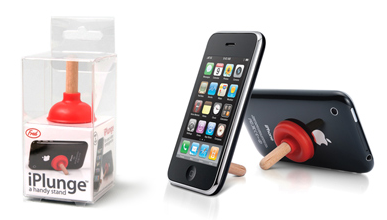 The iPhone Wings Stand is a refreshingly playful take on iPhone stands. The iPLUNGE™ made me laugh.